As part of our 25th Anniversary birthday celebrations, plenty of attractive prizes - and yummy cupcakes - were up for grabs. Not only was the Unlimited Edition Booster Draft (more on that later) the talk of the town, several players received some goodies to commemorate this joyous occasion. Nick Vodde and Bas Vodde, son and father respectively, both played in the main event. Bas was Dutch by birth but moved to Singapore years ago. We approached them to ask them how their weekend us and Nick was happy to share! "I'm playing Mardu Vehicles today. Wait, no. The deck doesn't have black cards. So, I'm playing White-Red Vehicles. I like the deck a lot, but I didn't win that many games. It's ok because I'm still young and I have lots of time to improve." To cheer him up, we surprised both father and son with a commemorative playmat and asked Nick if he knew what the artwork featured. Nick Vodde and Bas Vodde show off their new Black Lotus playmats! "That's Black Lotus, isn't it?" Next, we spotted Trisha Fernandez queuing up at the artist booths. She shuffled back and forth, standing in line to get her favorite cards autographed. Also, she picked up Grand Prix Singapore's limited edition Tatyova, Benthic Druid playmat illustrated by artist Mathias Kollros, and she was thrilled to have it autographed for he was also in attendance! 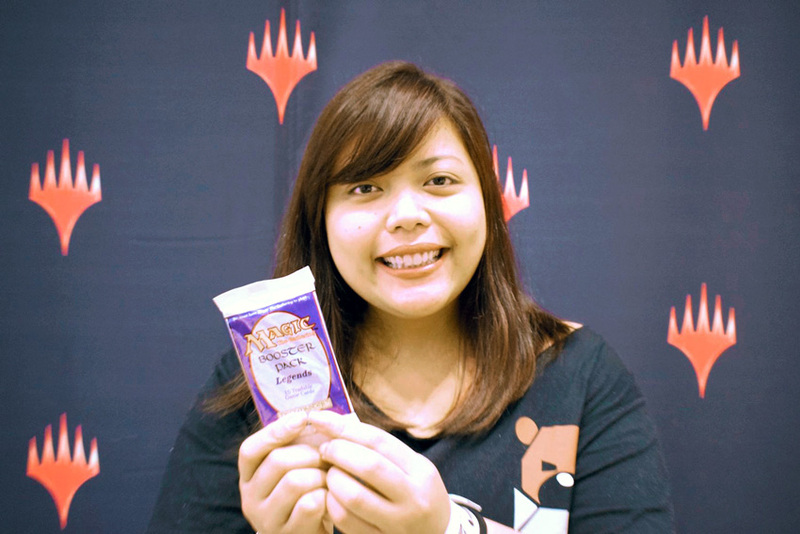 Fernandez from the Philippines was a great fan of Magic, even though she's only been playing for a year! In fact, she's also one of the most important members of Team Bearwolves! "My four other teammates did not plan to visit Singapore. However, I encouraged them to come along, and I sorted out all the travel arrangements! We will be here for six days to enjoy the Grand Prix and to do some sightseeing!" Trisha Fernandez from the Philippines was pleasantly surprised with her rare collectible! She also loves Magic cosplay and requested for a photograph together with famous cosplayers Haley Du and Ashlen Rose. She said that the storyline and the lore were fascinating, and she would love to be part of it one day. To make her weekend even more memorable, we surprised her with a Legends Booster Pack, a product she had never seen in her life! Her friends chimed in, "that's from 1994, and it's really, really rare"! After a huge thanks and a group hug, Fernandez rushed off to share the good news with her other friends and joined in another side event. (from left to right) Haley Du, Trisha Fernandez, and Ashlen Rose. Girl power! If I ever had the chance to open a Legends Booster Pack, I'd first like to know what 1994 smelled like! Lastly, we spoke to one of the youngest competitors in the room. 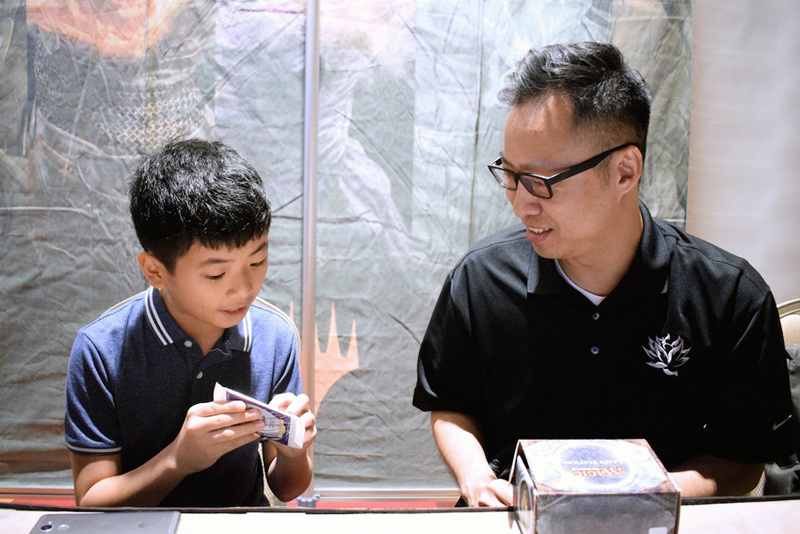 Wei Zhen, a twelve-year-old local, was not only bright and eloquent but intensely passionate about Magic. "I started playing Magic during Dragons of Tarkir and I'm so happy that the Core Set 2019 is bringing us back to the plane of Tarkir. His favorite creature types are Dragons and Dinosaurs, which is kind of perfect considering we were in the "golden age" of those two creature types. 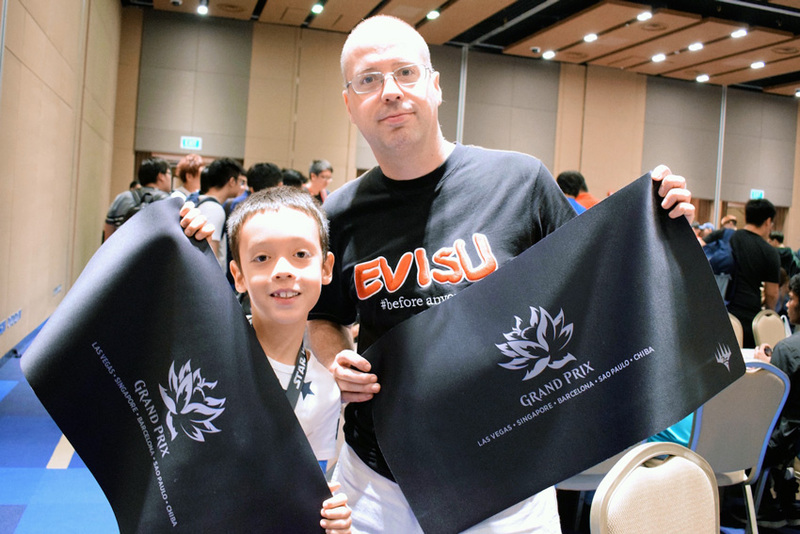 His short-term goal was to make Day 2 of a Grand Prix, but he wanted to play in Singapore Nationals too. Despite his tender age, he's already won an Ixalan Games Day tournament and was very well-versed with all the cards in the Standard metagame. 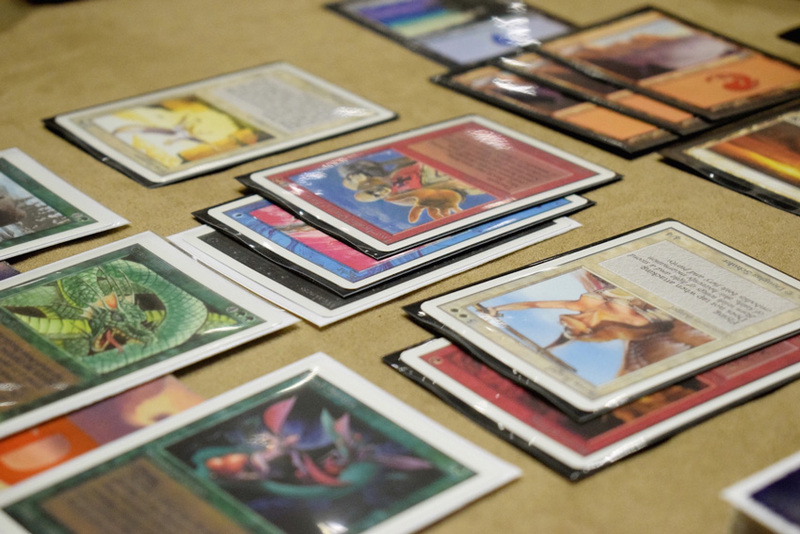 How did a seventh grader learn how to play Magic so well? "I taught myself how to play. My friend gave me a Starter Deck, but I didn't know how to play. 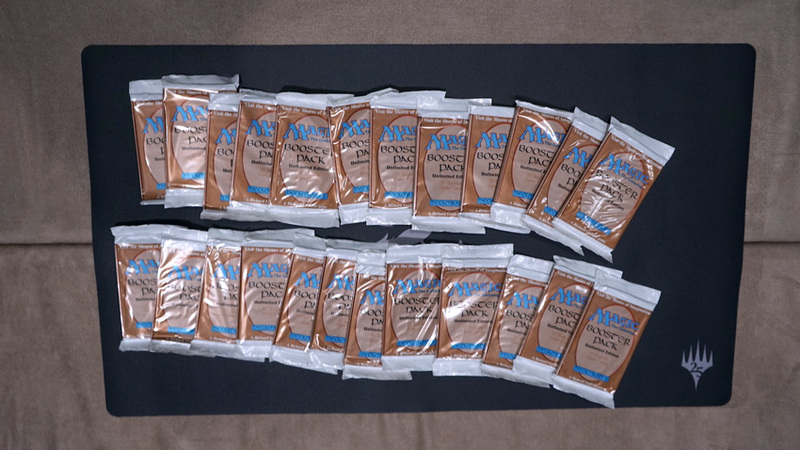 Thankfully, I found a website link on the packaging, and I read up on the rules. I started improving more during the Amonkhet block, where I would play about once or twice weekend, usually on a Friday, Saturday, or Sunday." His parents also showed up at the Singapore Expo to show their support. They said that other parents might be conservative, and they should keep an open mind. Wei added that his parents allowed him to play because they believe that he had the discipline to put his studies in first place. "I told my parents that I will always put school first. I hope to play more Magic when I grow up. For now, I need to go for my Pro Tour Qualifier, and then later I am going spellslinging!" Spellslinging with popular Youtuber Jason Chan (Amaz) proved to be a joyful experience! Before he left, Jim Jen, Asia Pacific's Community Manager, handed him a Legends Booster Pack as well. Carefully examining the packaging, he had only one conclusion. "Wow, this booster pack is older than I am!" 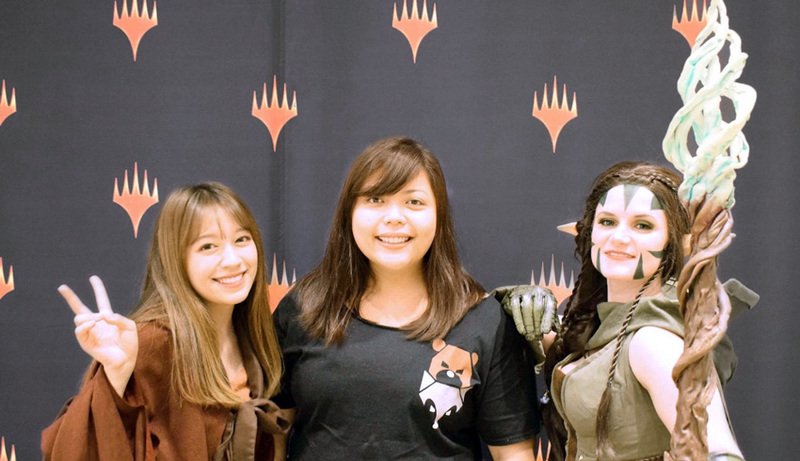 With the format reaching maturity, it was no surprise to see Goblin Chainwhirler and Teferi, Hero of Dominaria dominate Grand Prix Singapore. To summarize, Black-Red Aggro was the most popular archetype by far, and it was a Mono-Red Aggro shell with goodies such as Unlicensed Disintegration, Cut // Ribbons - and for activating Scrapheap Scrounger with ease. These Black-Red decks also had plenty of black sideboard cards, such as Arguel's Blood Fast, Duress, and Doomfall. Mono-Red Aggro - easily identifiable because they play 23 - 24 Mountains - was the second most popular for its consistency and uncomplicated mana base with 19 copies represented. 11 other "Mono-Red" Aggro decks ran four copies of Dragonskull Summit for that "free splash" to activate Scrapheap Scrounger. There were near to no actual black cards in this variant. Best sideboard card in the format? Probably Chandra's Defeat! Moving on, Teferi, Hero of Dominaria decks occupied about 15% of the metagame. These control decks were either White-Blue, Blue-Black, or Esper, and some decks ran Approach of the Second Sun as win conditions while others preferred The Scarab God or Torrential Gearhulk. A handful of players chose to go with none of those, preferring to grind the game out with Commit // Memory and Ipnu Rivulet. The next three favorite choices were Blue-Black Midrange (remember Champion of Wits? ), Black-Green Constrictor, and Mono-Green Stompy. After that, the popularity of the other archetypes taper but just to show you the full picture, let's take a look at the complete metagame breakdown of all 145 decks which made it through to Day 2! It has been two months since Dominaria hit the shelves. 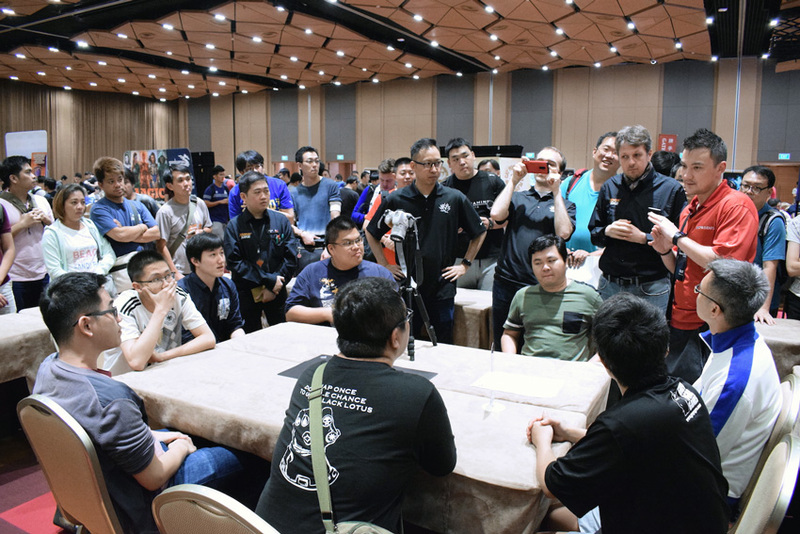 Goblin Chainwhirler continued to dominate, and there were easily over 300 copies of it in Day 2 alone. 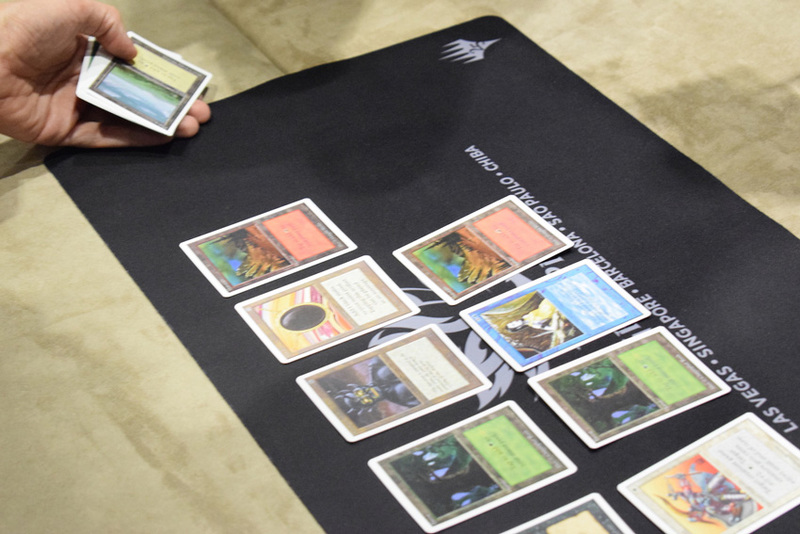 The metagame had time to develop and evolve, and the format was nearing maturity before Core Set 2019 changes the state of Standard forever. However, with a clearly-defined metagame comes the time to make genuinely impactful changes to your 75. You might want to remove some Bomat Couriers to hedge against Goblin Chainwhirlers. You might want to play less countermagic, and more removal spells against the sea of red. You might want a different sideboard plan. Perhaps, you might even want a third color in your deck. Or you could build even a new deck altogether! The possibilities are endless. Here are four decks without Goblin Chainwhirler which have a chance against Goblin Chainwhirler! 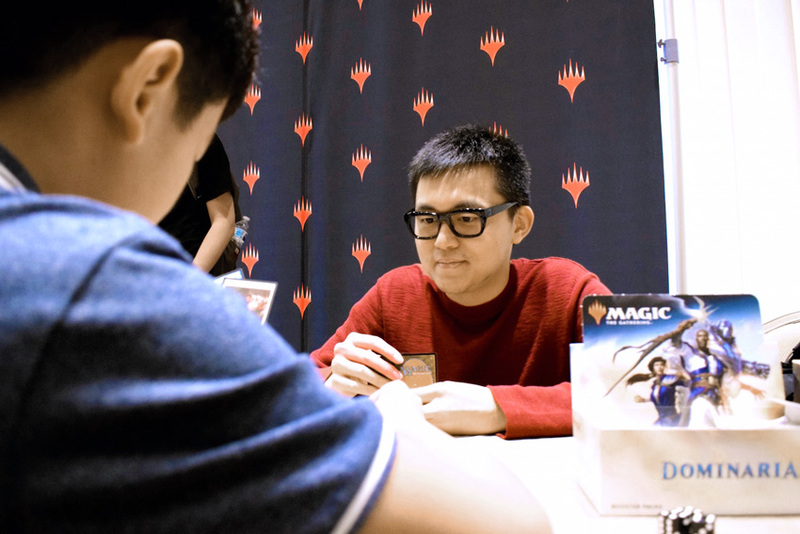 As for Ken Yukuhiro, he brought to the tables a deck he piloted at Pro Tour Dominaria, except that he made some tweaks. His Black-Green Ramp deck was unique, and he made several metagame choices in anticipation for this weekend. With so many Deserts in his mix, Hour of Promise was one of the most important spells. Together with Gift of Paradise, he was able to ramp into Carnage Tyrant or Vraska, Relic Seeker with ease, while still having an excellent removal suite which included the full playset of Fatal Push, Cast Down, and Vraska's Contempt. Duress, Doomfall, and more planeswalkers in the form of Karn, Scion of Urza join forces to create a massive headache for control decks as well. 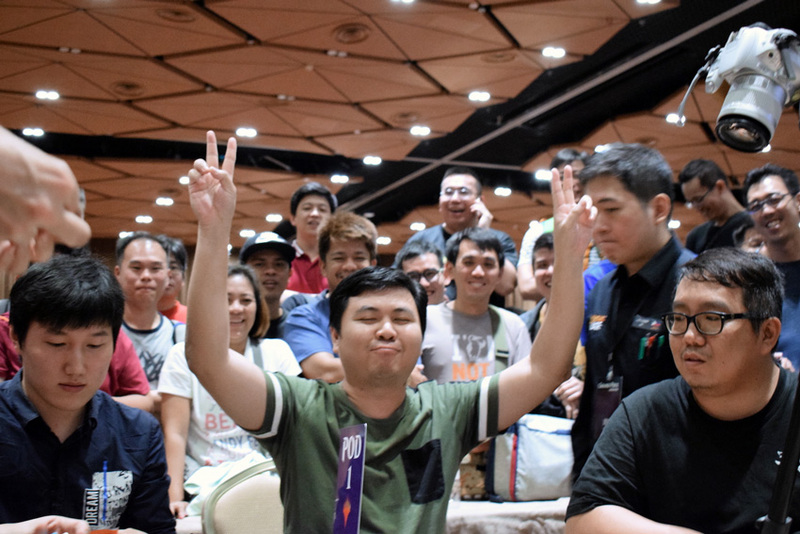 Former Malaysia National Champion and Grand Prix Manila 2012 finalist Rick Lee wanted to play God-Pharaoh's Gift this weekend but added a third color to the existing shell. Sultai God-Pharaoh's Gift was able to house Merfolk Branchwalker, Champion of Wits, and Jadelight Ranger, as well as haymakers like Verdurous Gearhulk, Hostage Taker, and The Scarab God! The deck is a lot of fun to play, and Wildgrowth Walker looks good against the sea of red! Wanna create a bunch of lifelinking Horses? Perhaps How Yung Kit's concoction might suit you! The deck is laden with so much life gain it was bound to give red mages a headache. Anointer Priest, Aethersphere Harvester and Sunscourge Champion pair well with Crested Sunmare. Annoying enchantments such as Hidden Stockpile, Legion's Landing, and Hidden Stockpile also prove difficult to manage! Nobody could pack that much enchantment removal, not even the control decks! This deck will also suit you if you do not wish to play mirror matches! Last but not least, let's take a look at a deck built around Marionette Master. An Esper control deck at heart - albeit vastly different - it also runs a lot of planeswalkers and traditional control elements - such as Fatal Push, Essence Scatter, Disallow, and Vraska's Contempt. However, it is the Treasure Maps and Spell Swindles that truly make the deck tick! If you accumulated five Treasure tokens and resolved a 4/6 Marionette Master, that's 20 damage right there! 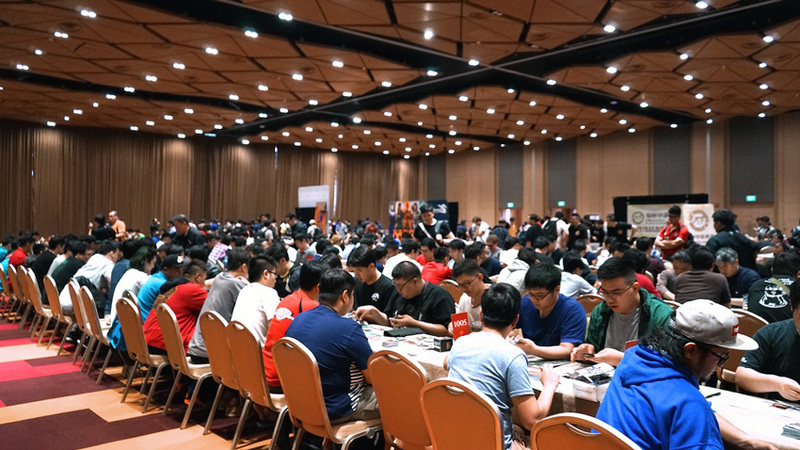 Over a hundred Japanese players made the seven-hour traverse to Singapore. Other than some first-timers, there were also Pro Tour Hall of Fame members, as well as a bunch of Platinum, Gold, Silver, and Bronze pros. For some players, this was their first visit to Singapore, for a few it was it even their first Grand Prix abroad. As for the seasoned veterans, it was their second trip to Singapore in six months. 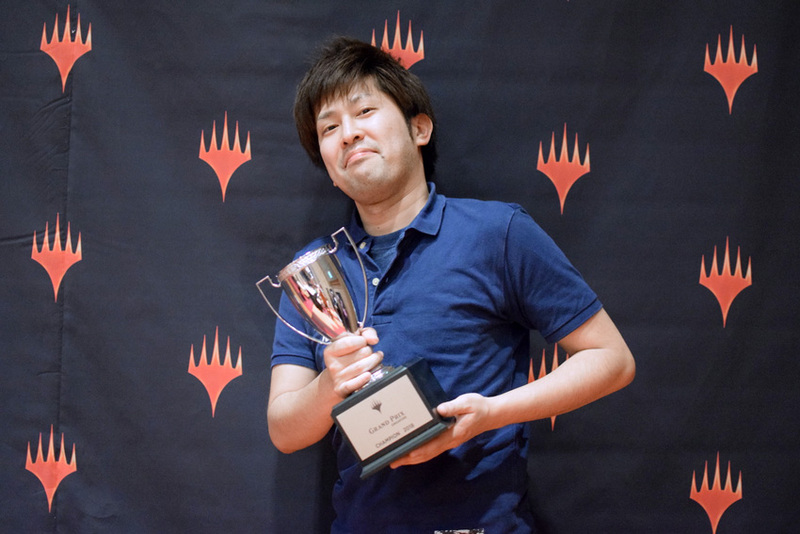 Among them, was Pro Tour Battle for Zendikar champion and Grand Prix Dominaria Quarterfinalist Kazuyuki Takimura. He also had five Grand Prix Top 8s under his belt including a champion title. Hitting Gold level once again with the newfound Pro Points, Takimura was no stranger to the professional circuit or high-level play. 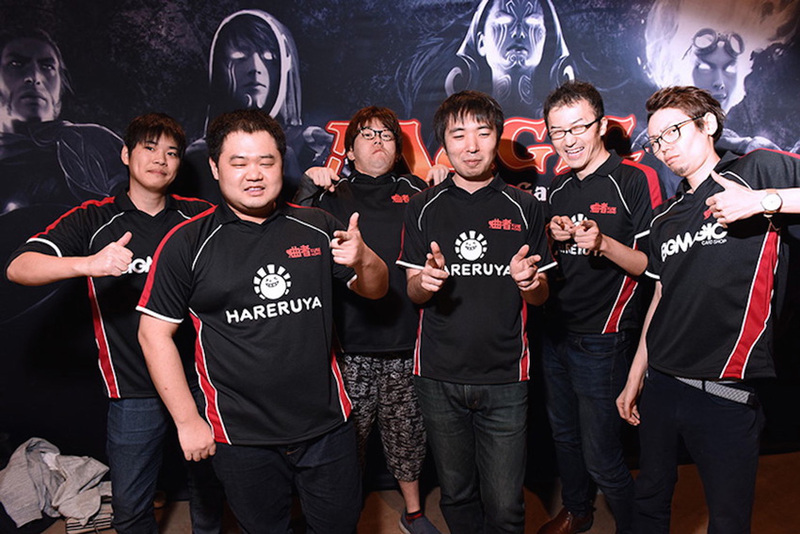 "I didn't think that I would come this far and I take it one step at a time, Takimura shared, "I just continue playing and practicing, whether on Magic Online or with my teammates." Takimura practices with his teammates from Team Kusemono further hone his skills. To put things in perspective, Takimura found himself in danger of falling off the train. He needed an 11-5 finish at Pro Tour Dominaria to get to the next Pro Tour. Now that he achieved his immediate goal, his dreams of staying on the Pro Tour was renewed. For the aspiring Magic pro player, what did Takimura have to say to them? "Once again, I take it one step at a time. I enjoy playing on the Pro Tour, and my primary goal is to have fun and enjoy the whole experience. I have to win to stay on the Pro Tour, but spending quality time with friends and enjoying Magic is the most important thing." For players who dream of playing on the Pro Tour one day, Takimura had some words of wisdom. "This might sound cliché, but the best way to get better is to keep playing. Once you're ready to step onto a bigger stage, consider traveling for some Regional Pro Tour Qualifiers and Grand Prix. If you continue doing that, there will come a day where you're ready. The most important thing is to try hard today for a better tomorrow!" Falling to fellow countryman Yuuki Ichikawa in Round 13, Takimura was unable to secure the wins he needed to make the Top 8. 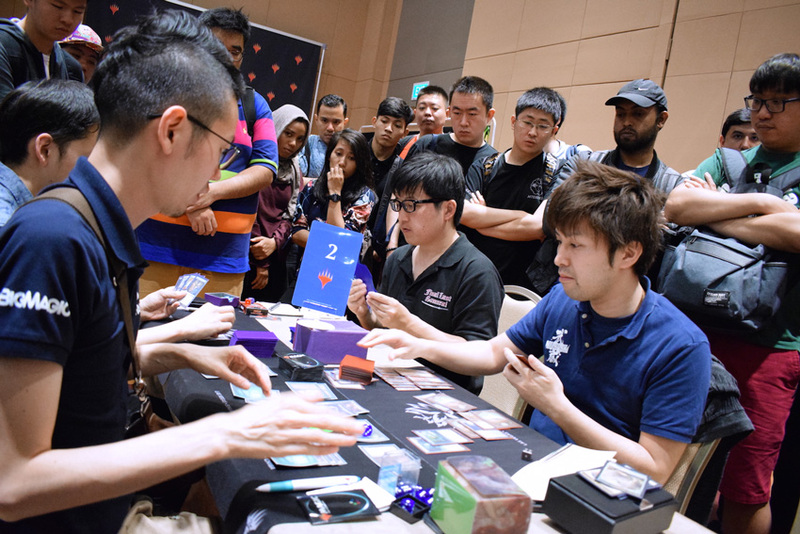 Lurking near the top of the tables all weekend, Takimura was well-poised for his sixth Grand Prix Top 8. However, he fell short when Yuuki Ichikawa defeated him in a crucial win-and-in match. Nonetheless, Takimura didn't let this affect his positive outlook! "I hope to be able to play Magic for another 25 years, the entire ride has been amazing, and I have enjoyed every moment of it." Ryoichi Tamada does wonders again! Ryoichi Tamada's Jeskai Control deck was by far the most innovative deck in the format. Crushing the Swiss Rounds and cruising into the Top 8, his Jeskai Control deck had Whirler Virtuoso, one of Tamada's favorite cards in Standard, as well as Magma Spray and Harnessed Lightning. "This is my favorite color combination, and I am pleased that the deck performed well against the field," he shared. 13-0-2 was undoubtedly a streak that was hard to beat! This was not the first time he went undefeated in Day 1 so nobody was surprised when Tamada cracked the Top 8 in top seed once again. 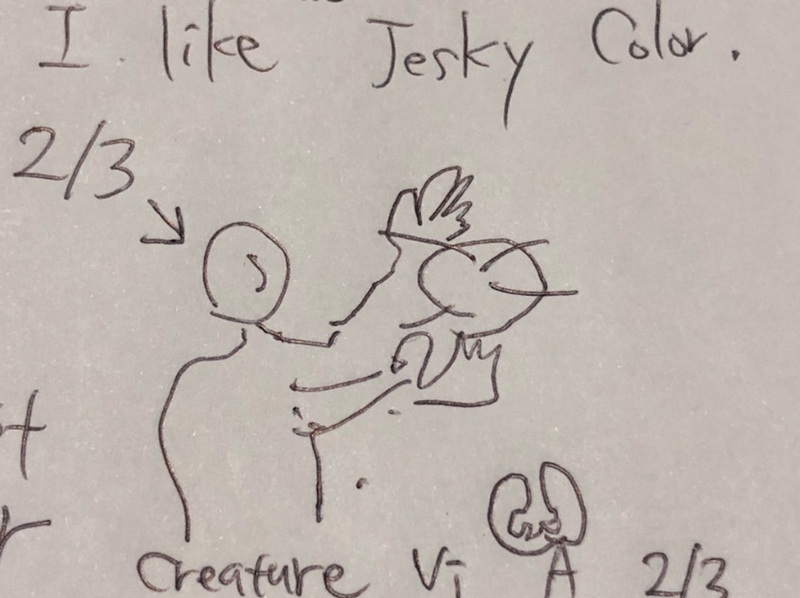 Even though his journey to the top was cut short in the quarterfinals, he still loved his deck very much, even going to the extent of doodling one of the key cards of his new control deck! Can you guess what this card is? An artist's (Tamada) impression of his favorite card. If the Beta Draft from Grand Prix Las Vegas was the "most anticipated draft possibly in the history of Magic", then today's Unlimited Edition Draft would be next. Eight players from eight qualifiers won the proverbial golden ticket to the most exciting event of the weekend. Considered to be the second edition of the core set, this white-bordered expansion consisted of the same 302 cards as the Limited Edition Beta print run. Which means that another Time Walk or another Mox Emerald could just see the light of day momentarily! (Clockwise from top left ) Chris Tiong, Lin Shih Feng, Jeffrey Chan, Hu Shaofan, Ken Hu, Link Lee, Zheng Peiyuan, and Lin Ruizi. 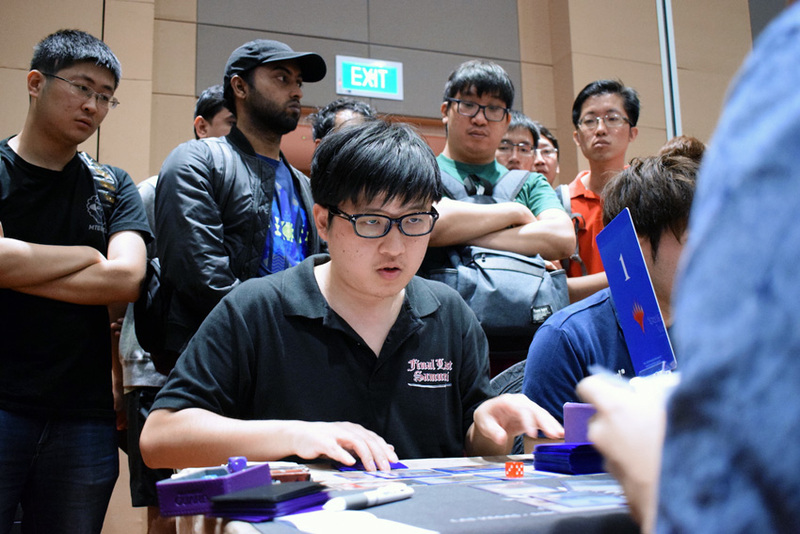 The qualified players eagerly took their seats and hoped for the best. 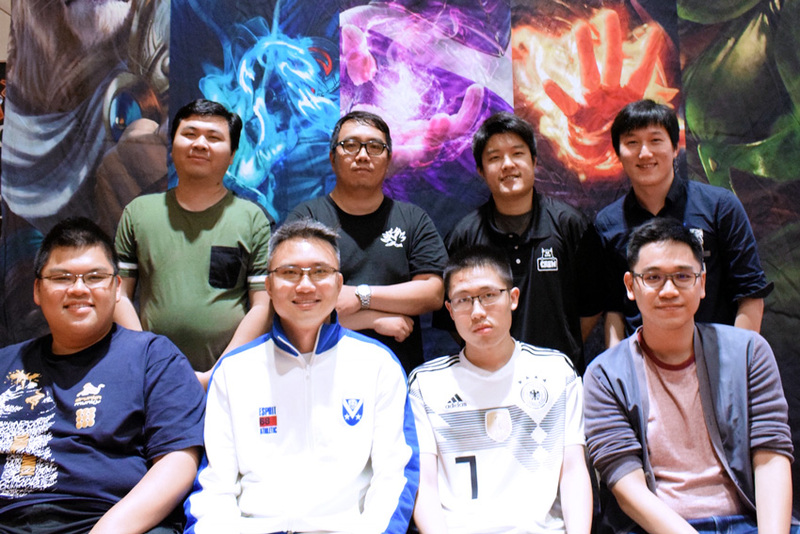 After the Rochester Draft concluded, Lin Shih Feng from Taiwan found the best loot of them all, while Chris Tiong from Singapore was lucky enough to receive Scrubland and Mana Vault! Other gems include Scrubland, Forcefield, Mana Vault, Winter Orb, and the iconic Shivan Dragon! When the dust settled, it was Link Lee from Singapore who took it all down! Here are some of the best moments of this once-in-a-lifetime Rochester Draft! Twenty-four fresh Unlimited Edition booster packs in all their glory. The eight qualified players getting ready for the most exhilarating event ever! Players carefully reviewed their picks before they made their choices. 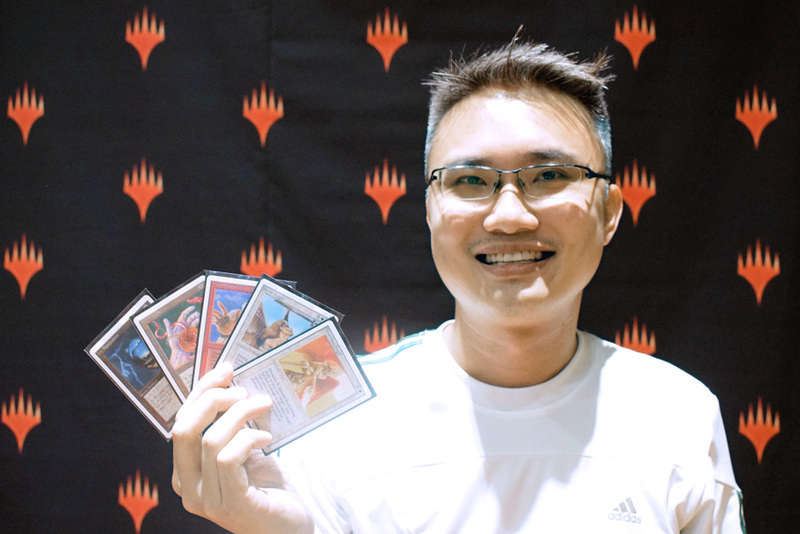 Chris Tiong from Singapore was having a great day with his boosters, getting Scrubland and Mana Vault from two out of three of his boosters. Do you see what I see? Yes! That's a near mint Mox Jet! Lin Shih Feng from Chinese Taipei was thrilled to lay his hands on one of the Power 9! In the epic finals between Link Lee and Hu Shaofan, it was Lee's Serra Angel and Two-Headed Giant of Foriys who ruled the skies! 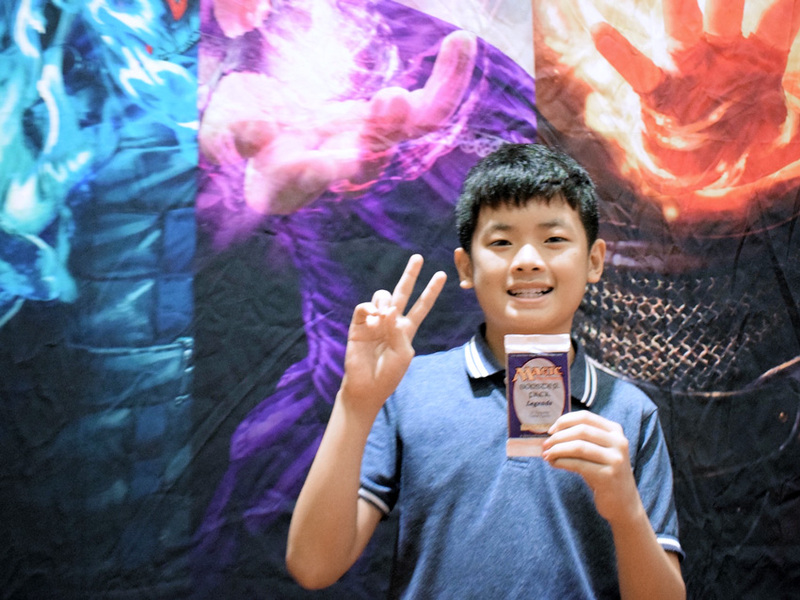 Congratulations to Link Lee from Singapore for winning the Unlimited Edition Rochester Draft! Epic win! After fifteen rounds of Standard and the exciting playoffs, the field of 682 was down to just a single man. Singled out as one of the hot favorites to win it all, Ishikawa failed to disappoint and took down his fourth Grand Prix title in his ninth lifetime Grand Prix Top 8. 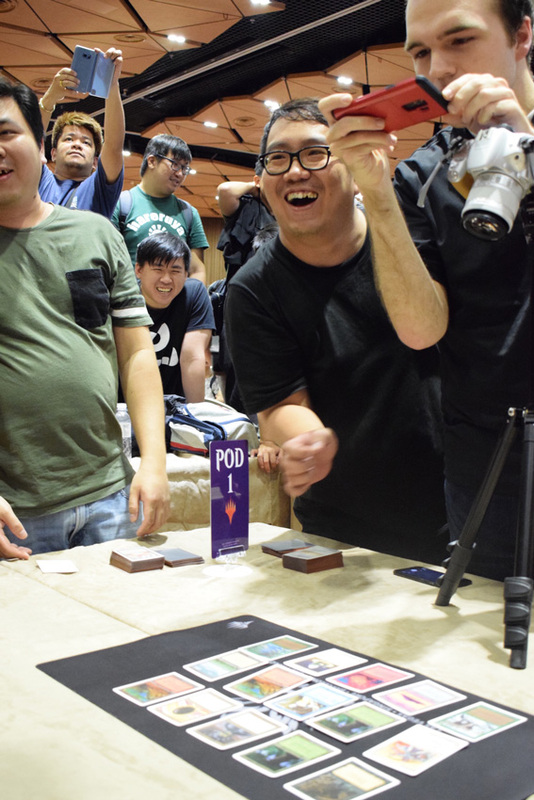 Defeating Li Jingling in the quarterfinals, Andy Chan in the semifinals, and then Ohki Tatsuhiko in the finals, Ishikawa's White-Blue God-Pharaoh's Gift deck outlasted the competition. Running four copies each of God-Pharaoh's Gift and Refurbish - and no Gate to the Afterlife - Ishikawa's deck could morph into a White-Blue Control deck at will. This solid transformational sideboard plan helped him clinch victory and solidify himself as one of the top players in Japan and around the world. Hearty congratulations to Yuuki Ichikawa for winning Grand Prix Singapore 2018!